Marginal loss factors (MLF) impact on clean energy transmission. Australian Energy Market Operator (AEMO). Decreasing electricity transmission loss figures are harming the viability of the clean energy industry. That’s the warning from Australia’s Clean Energy Council. 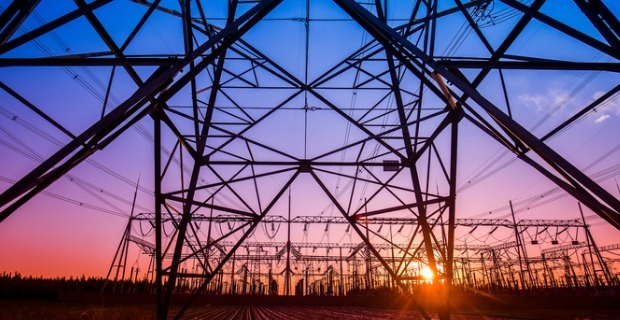 Chief executive Kane Thornton was commenting on the 2019-2020 marginal loss factors (MLF) from the Australian Energy Market Operator (AEMO). MLF figures are the percentage of electricity that AEMO predicts will be lost in transmission between generator and end user. Resistive heat causes power loss when electricity travels along transmission lines, especially over long distances. In a vast country such as Australia, where many generators are in remote locations, this can be a problem. For example, a rural solar farm produces N amount of power at the source. AEMO predicts this amount will be N x MLF by the time it reaches the end users in town. The lower the MLF, the lower the financial return. Electricity transmission towers lose electricity as it travels along them. Marginal loss factors (MLF) allow the calculation of the actual electricity delivered to the end user. That’s because a generator that produces 100 MWh with an MLF of 1.00 is paid for 100 MWh. But if the MLF changes to 0.83, that cuts the return by 17 per cent. It gets $83 for producing the same 100 MWh. An extreme example is Silverton Wind Farm in NSW. Its previous MLF was 1.0062. The new figure is 0.7990. This means payment for producing the same amount of power falls by 20.59 per cent. Broken Hill Solar Farm had a 25.9% reduction from the previous year due to a lower MLF. The changing MLF also makes it difficult to say with certainty what a generators return will be over several decades. This then introduces an element of risk into investing in new clean energy generators. MLF figures are decreasing as more generators enter the network in more remote areas. This increases electricity transmission, which increases the loss in the power lines. The Clean Energy Council wants a comprehensive review of MLF calculations. It says this is needed to stop “unpredictable hits to the financial sustainability of existing and future renewable energy projects”. “The issue also underlines the need for efficient investment in new poles and wires to relieve the strain on the existing network, which is rapidly becoming congested,” Thornton said. He said the renewable energy industry attracted tens of billions of dollars in investment last year plus thousands of jobs. In addition, he warned that a strong investment pipeline depended on addressing the issue.